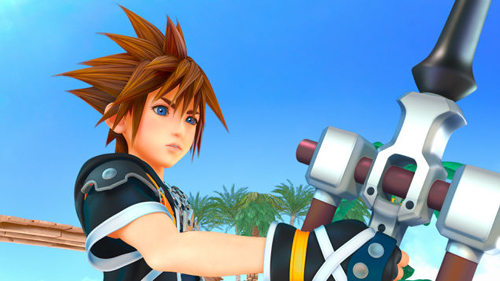 ﻿ Kingdom Hearts Recharged » Tokyo Game Show: Will HD 2.5 Remix & KH3 Appear? Tokyo Game Show: Will HD 2.5 Remix & KH3 Appear? The Tokyo Game Show 2014 event kicks of this September 18th 2014. A full list of featured game titles have published, along with a list of booth descriptions for exhibitors. As expected, Kingdom Hearts HD 2.5 Remix has been added to the list, however one of the biggest questions remain. Will Kingdom Hearts 3 appear at the Tokyo Game Show? Kingdom Hearts 3 was revealed during E3 Expo 2013, but information regarding the upcoming title has remained silent with no hope for any new information releasing shortly. During this year’s E3 Expo 2014 event, Square-Enix confirmed that it wasn’t the best time to release anything more regarding Kingdom Hearts 3, but fans were told that development is in full action. Many fans assumed that if there was any Kingdom Hearts 3 information, it would be announced at the Tokyo Game Show 2014. As of now, Kingdom Hearts 3 isn’t confirmed to appear at the event. If anything changes, we’ll hear something a few days before the actual event kicks off.